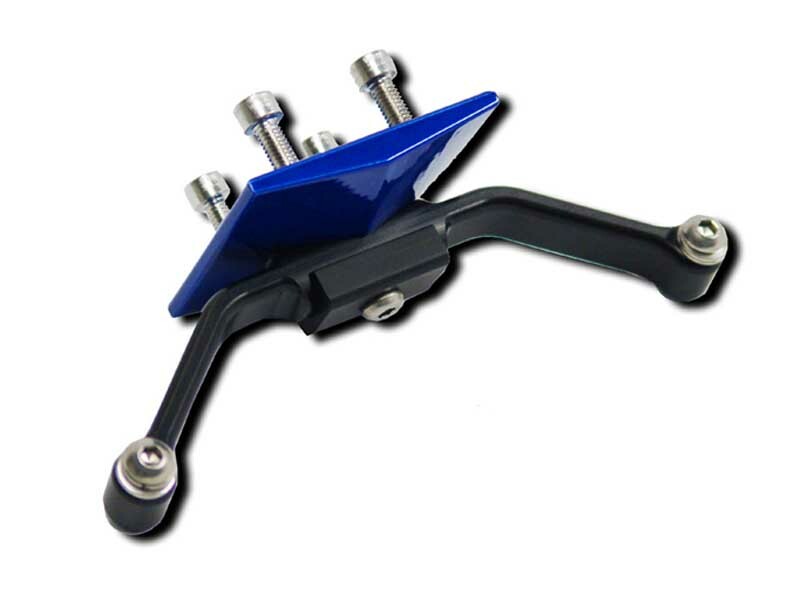 This kit is made up of a billet aluminum base plate and an adjustable license plate bracket. 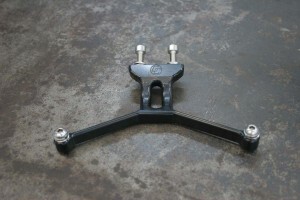 The base plate will mount where the stock fender mounted to the undertail. 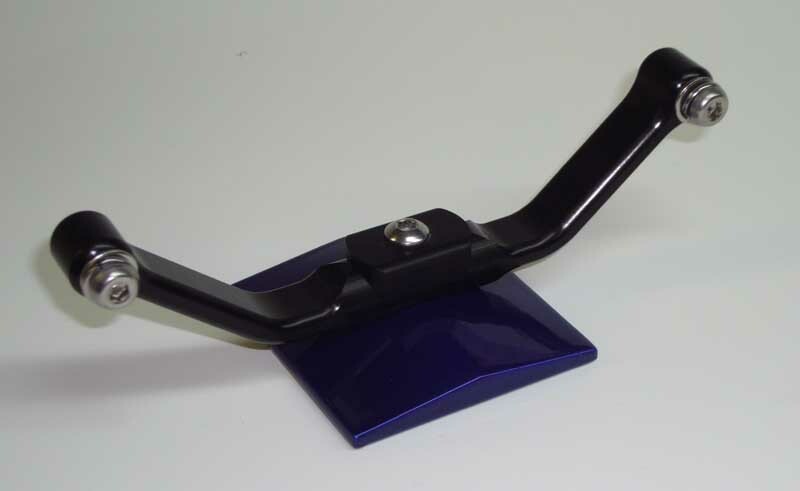 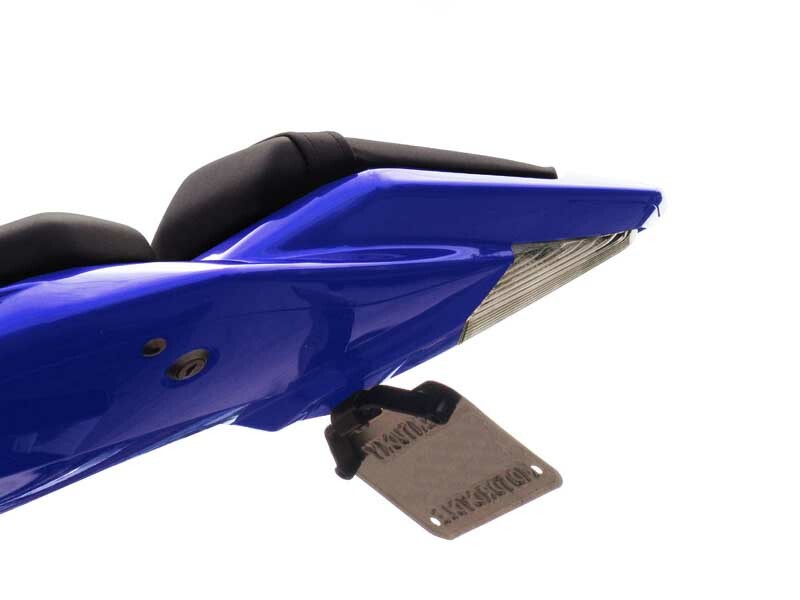 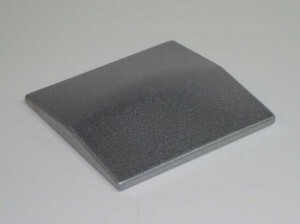 The base plate can be ordered in powdercoated colors to match the color of your bike. 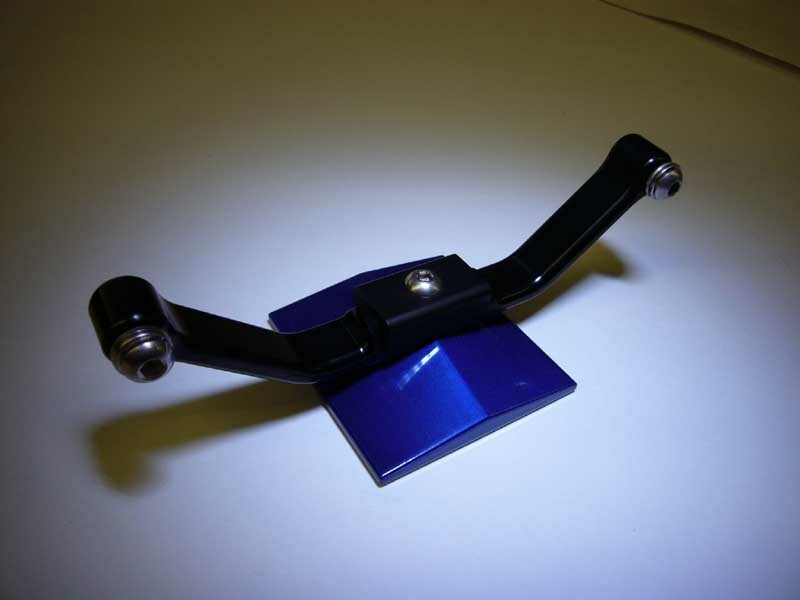 The Black anodized aluminum plate bracket will mount to the base plate and is adjustable for plate angle. 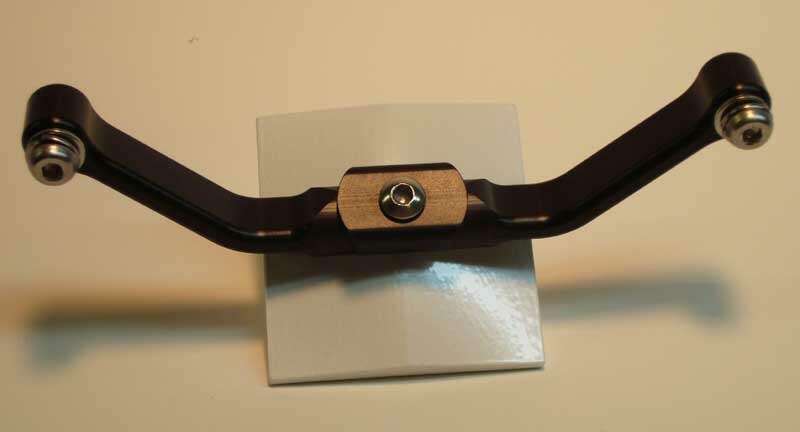 Stainless hardware included.